"Family Raised For An Outstanding Companion. 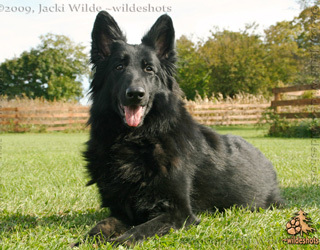 Breeding plush and smooth coated Shiloh Shepherds. We breed for health, temperament, companionship and show. Our puppies are home raised with love and well socialized. We strive to produce the ultimate family companion. Our puppies come from OFA'd parents. All puppies are vet checked, micro chipped, temperament tested and come with a written health guarantee. Puppies available occasionally; to approved homes only."